We are currently not accepting Fellowship applications. To see past fellows please click here. The Khaled bin Sultan Living Oceans Foundation sponsors graduate fellowships for doctoral students and post-doctoral researchers whose research focuses on activities that contribute to a better understanding of the health and resilience of coral reefs in countries surveyed throughout the Global Reef Expedition (2011-2016).The Khaled bin Sultan Living Oceans Foundation Fellowship program is open to international applicants from around the world, regardless of citizenship or nationality, with a career interest in coral reef science and/or management. Applicants can include Ph.D. and Postdoctoral candidates, or a graduate of an accredited Ph.D. degree program currently employed by a government or non-government agency conducting activities pertaining specifically to coral reef ocean research, conservation or management. The Living Oceans Foundation Fellow will receive up to $35,000 per year fellowship grant to cover legitimate educational and research expenses, such as tuition and research field-work expenses. All costs (lodging, meals, diving activities, etc.) while on board the Golden Shadow, as well as travel to and from the Shadow, for each research mission will be covered by the Foundation. Overhead expenses will be negotiated with the applicant’s university on a per case basis, not to exceed 10%. 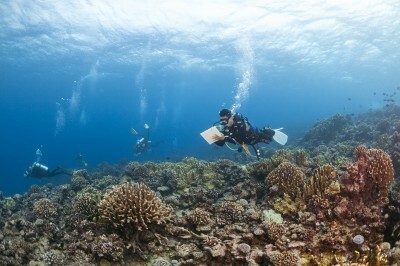 The graduate fellowships recipient will be known as the “Khaled bin Sultan Living Oceans Foundation Research Fellow.” Fellows may receive up to four continuous years of financial support, based upon annual performance reviews, for work conducted during all legs (South Pacific, Indian Ocean and Red Sea) of the Expedition.